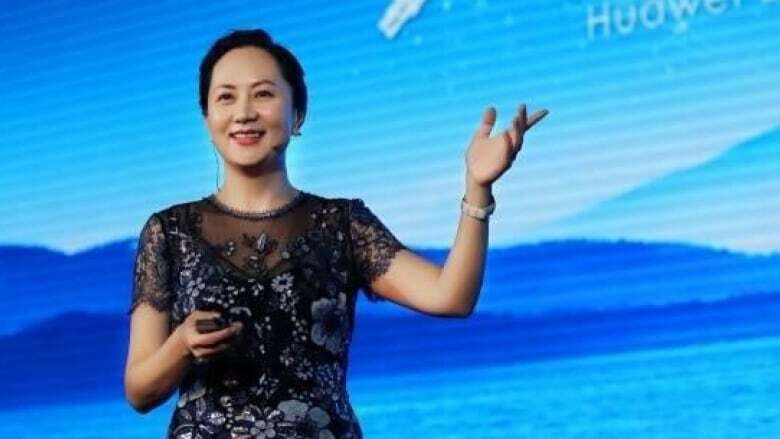 Canadian officials have arrested Meng Wanzhou, the chief financial officer and deputy chair of the board for the Chinese tech giant Huawei, CBC News has confirmed. According to a statement from the Department of Justice, Meng was arrested in Vancouver on Saturday and is being sought for extradition by the United States. A bail hearing has been set for Friday. The statement said Meng sought, and was granted, a publication ban which prevents the department from releasing further details about the arrest. Supreme Court of British Columbia records show the ban is pursuant to Section 26 of Canada's Extradition Act, which says that before an extradition hearing is held, a judge may decide that the publication or broadcasting of evidence may put the accused's right to a fair trial at risk, in this case once she is handed over to the U.S.
Court records show that hearings in this case have been going on over the last week at the B.C. top court in Vancouver. B.C. Associate Chief Justice Heather Holmes ordered the publication ban, which extends until Friday. The Globe and Mail reported earlier Wednesday that Meng was arrested on suspicion of violating U.S. trade sanctions on Iran. Court records say that she has used two English names as aliases: Sabrina Meng and Cathy Meng. U.S. authorities have been probing Huawei, one of the world's largest makers of telecommunications network equipment, since at least 2016 on allegations that it shipped U.S.-derived tech products to Iran and other countries in violation of U.S. export and sanctions laws, sources told Reuters in April. Huawei released a statement saying its CFO was arrested while changing planes in Vancouver and is facing charges in "the Eastern District of New York." "The company has been provided very little information regarding the charges and is not aware of any wrongdoing by Ms. Meng. The company believes the Canadian and U.S. legal systems will ultimately reach a just conclusion," the statement said. "Huawei complies with all applicable laws and regulations where it operates, including applicable export control and sanction laws and regulations of the UN, U.S. and EU." Earlier this year, two U.S. senators wrote to Prime Minister Justin Trudeau warning him that doing business with the Chinese telecom giant would open Canada up to a huge security risk. Republican Sen. Marco Rubio and Democratic Sen. Mark Warner want Canada to follow the U.S. and Australia and block Huawei from supplying equipment that would connect Canadians to the high-speed mobile network known as 5G. A spokesperson for the Chinese embassy in Ottawa released a statement protesting Meng's arrest, which it said "seriously harmed" her "human rights." "The Chinese side has lodged stern representations with the U.S. and Canadian side, and urged them to immediately correct the wrongdoing and restore the personal freedom of Ms. Meng Wanzhou." In Beijing on Thursday, nine of the 13 questions at the Chinese Foreign Ministry's daily news conference were about Huawei and Meng. Officials called on Canada to immediately clarify the reason for Meng's arrest, release her, and protect her rights and interests. The Chinese Consulate in Vancouver is providing assistance to Meng. "China firmly opposes all forms of cyberattack and cracks down on them in accordance with law," Foreign Ministry spokesperson Geng Shuang said in an English translation of the news conference. "If offered evidence, the relevant Chinese departments will carry out investigations according to law. We firmly object to making groundless accusations on the issue of cyber security." The spokesperson called cybersecurity a "global issue" in which all countries have a shared interest. He noted that China is "one of the major victims" of these threats, including cyber hacking. China is a "staunch supporter" and co-operates with all sides on combatting cyber crimes, he said, calling on the international community to "engage in dialogue ... on the basis of mutual respect, equality and mutual benefit." With regards to the specific allegation that Meng and Huawei had breached American sanctions against Iran, the Foreign Ministry spokesperson said China "faithfully and strictly" implements UN Security Council resolutions, but opposes unilateral sanctions outside the Security Council framework. 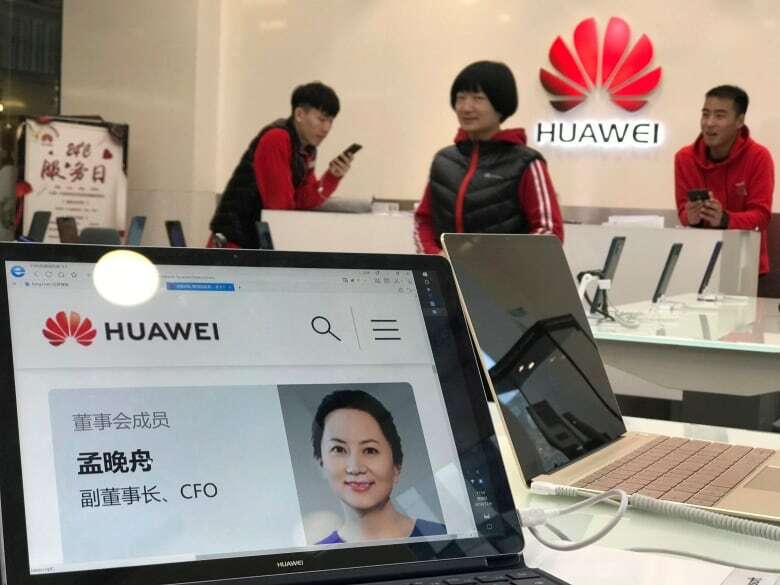 "This position is consistent and clear-cut," the Chinese government spokesperson said, repeating that Huawei abides by the applicable laws in the countries where it operates. The Foreign Ministry did not comment on whether Meng entered Canada with a Chinese or Canadian passport.